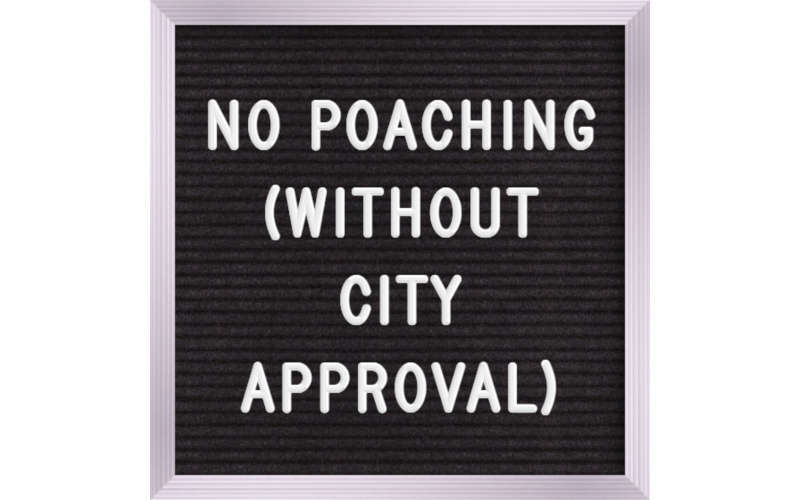 The city of Wichita has included anti-poaching clauses in development agreements to protect non-subsidized landlords, but the agreements are without teeth. While the city doesn’t provide a reason for this provision of the agreement, we might call it the “anti-poaching” clause. Since the city is giving land to the ballpark developers at (essentially) zero cost, that gives them an advantage over other developers who have not received such subsidy. The ballpark developers could use that cost advantage to lure (poach) tenants from nearby locations. Those landlords who lose tenants might feel they have been discriminated against. They’d be correct. In other words, the city can waive the anti-poaching clause. There is no need for anyone to give a reason why a waiver is necessary. The document is silent as to whether a waiver requires city council approval.